Dr Liz Tynan is a senior lecturer at the JCU Graduate Research School (GRS) in Townsville, Australia. 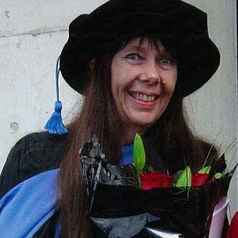 Her PhD in science communication from the Australian National University (2011) examined aspects of the British nuclear tests in Australia in the 1950s and 1960s. In her GRS role she teaches academic writing and critical thinking skills to postgraduate students. She is a former journalism academic with a background in both print and electronic media, and a long-standing speciality in science writing and editing. She has worked for the Australian Broadcasting Corporation (ABC) as a reporter and subeditor, and was later Sydney correspondent for New Scientist. Liz first joined academia in 1997 when she began work in the Journalism program at JCU. She also worked for five years at the University of Tasmania, where she helped set up an award winning community radio station, before returning for another stint in the JCU journalism program. She has carried out extensive freelance and consultative work in science writing, editing and publications. She is co-author of the Oxford University Press textbook Media and Journalism: New Approaches to Theory and Practice (with Jason Bainbridge and Nicola Goc), now in its third edition. She is also co-author and editorial adviser on another OUP text, Communication for Business (2013). Her history of the British atomic weapons tests in Australia, Atomic Thunder: The Maralinga Story, is being published by NewSouth in September 2016.